Dreams really do come true. At 19, my dream of moving from the little boring town where I grew up to the amazing and fascinating Quebec City, came true. I fell in love with Quebec City a long time ago, and you will fall in love with it too! 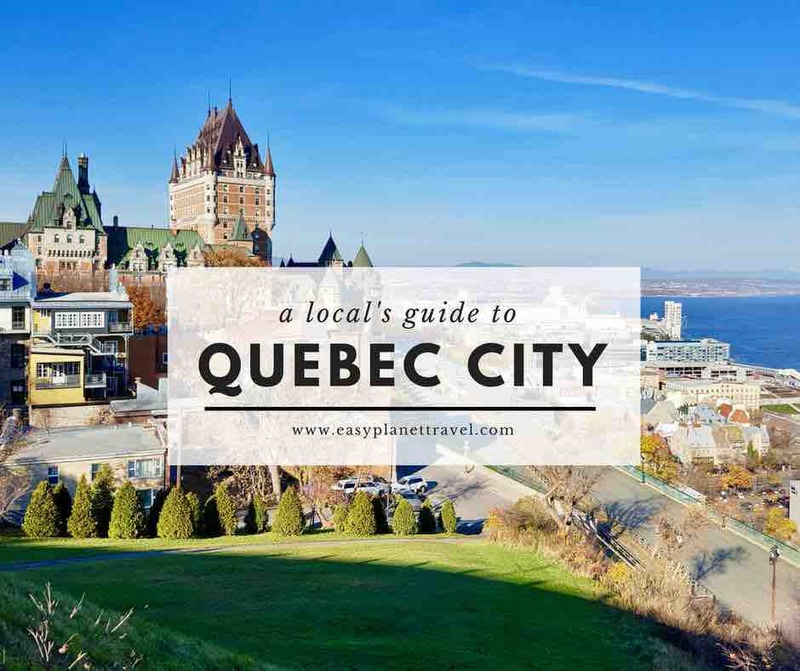 Why am I so sure you will totally adore Quebec City? First, it is one of the most charming old city in North America: it is more than 400 years old! It has a European feel, and adorn an affordable tag. Second, its picturesque Old Town is a Unesco World Heritage site, a breathing museum of narrow cobblestone streets, with the stunning Château Frontenac towering above it all. To this day, Quebec is the only city where the fortification wall remains intact since the 17th century! Third, the inhabitants speak the lovely Molière mother tongue: French. Je vous aime! Voulez-vous coucher avec moi? So exotic, right? Finally, Quebec City is very safe (apart from winter’s epic snow storms), and mostly walkable. I know all this because I have been living in Quebec City for 18 years now. Even though I traveled to 30 countries around the world, I can assure you that my city is one of the most gorgeous on Earth! Convinced now? Of course you are! 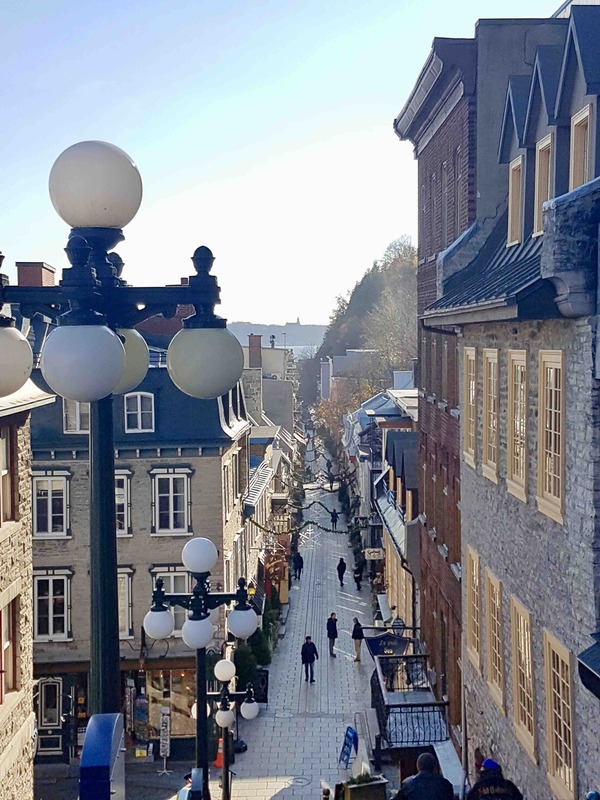 To make your visit to Quebec City even more interesting, let me tell you what to see and where to eat, stay and shop! A visit to Quebec City must start with a walk around the Old City. Rue St-Jean is fabulous, with its restaurants, shops and street art performances. Rue du Tresor is so charming: an outdoor art gallery, where you can actually talk to the artists. Of course, Chateau Frontenac – world’s most photographed hotel – is epic and worth a visit. Right next to Chateau Frontenac is Terrasse Dufferin, a boardwalk on top of the high cliff that separate Old Quebec and Petit Champlain district. The vista of the St Lawrence River and Levis City, on the other side of the waters, is breathtaking. During winter, we can slide down on a toboggan here, and in summer, we can enjoy the performance of street artists. 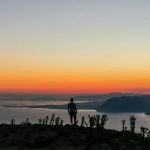 Going down to the Petit Champlain district is the next step, and you won’t regret it! So charming, so European, so French! You will find in this neighbourhood Place Royale and Notre-Dame-des-Victoires Church, where Leonardo DiCaprio was filmed in Catch Me If You Can, and Angelina Jolie in Taking Lives. The Citadelle de Quebec is another must-see, along with the Upper Town, where again we find amazing restaurants and shops. The Parliament Building is one impressive building to visit, and don’t forget to take your picture in front of the Fontaine de Tourny, in front of the Parliament Building. After shopping and strolling around Old and Upper Town, we can either relax on the grass at the Plains of Abraham, a park besides Upper Town, or continue our journey at the Old Port, where we can enjoy the River’s cool breeze. Of course, there’s much more to see than the Old and Upper Town, and Petit Champlain district, in Quebec City. But this is the most charming part of the city. Even if we are living here, we still stroll around those neighbourhoods during weekends, and it gives us the feeling we are on vacation. One last thing: for all festival lovers, you have to come to Quebec City during the Summer Festival – the 10 days of July where the city is very much alive and the music is addictive. Quebec City offers a lot of options to the epicureans. We are so lucky here having access to worldwide cuisines, tailored to local trends. Here are the 3 restaurants that I like the most in Quebec City (and they don’t pay me to say that!). Located on Grande Allée, and at different other venues around Quebec City, Cosmos Restaurant is so much fun, with a live DJ, and their Asian Salad is my favorite choice on the menu. Right by St Lawrence River, Café du Monde offers an amazing view of the river and of the city of Levis, on the other side of the waters. Its French cuisine is my husband’s favorite, and the Catch of the Day is always finger-licking! 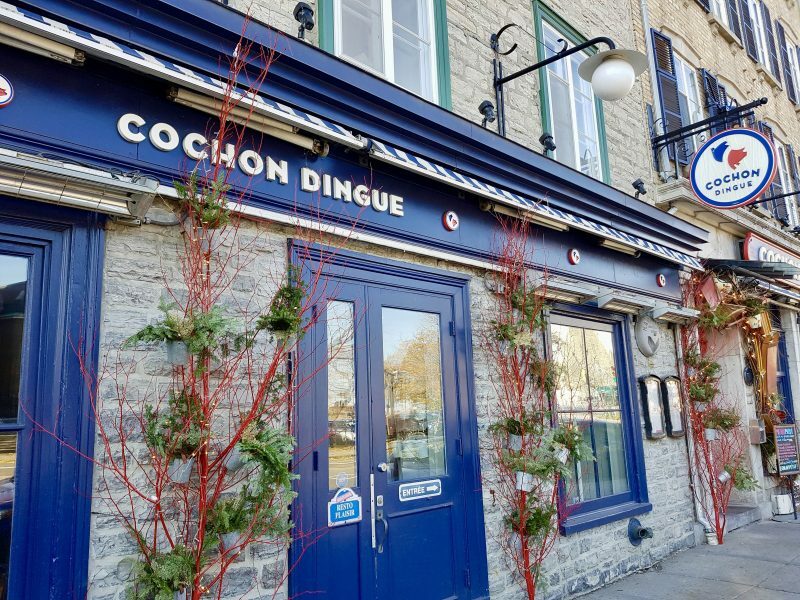 Another incredible restaurant, Cochon Dingue has 3 venues, but my favorite one is at the Petit Champlain district, next to the ferry that crosses the St Lawrence River to Levis. Their steak and fries are delicious, and they have a wonderful breakfast menu. 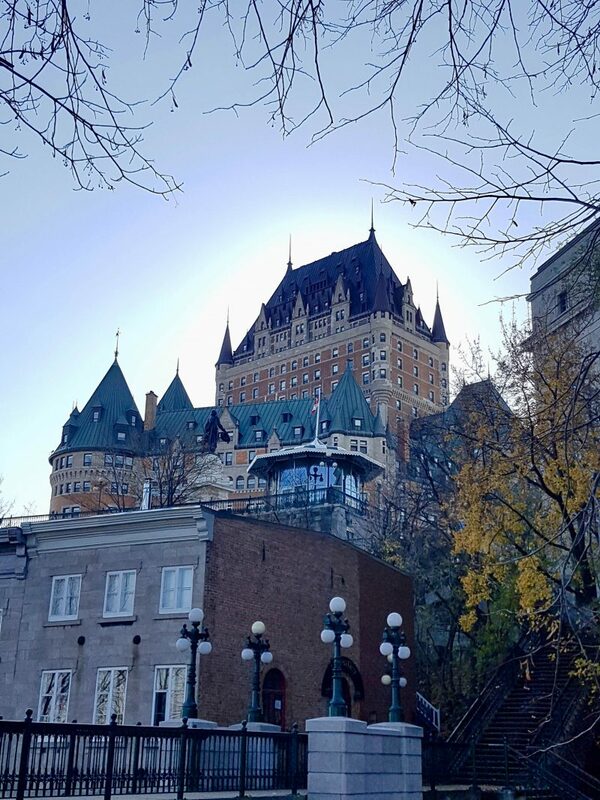 Quebec City’s most iconic building, Chateau Frontenac is more than a hotel – it is a door to hundreds of years of history, wealth and drama. Ideally located inside the walls of Old Quebec, it has undergone a multimillion dollar renaissance project. You can find at Chateau Frontenac luxury and modern innovations, along with its enchanting past. 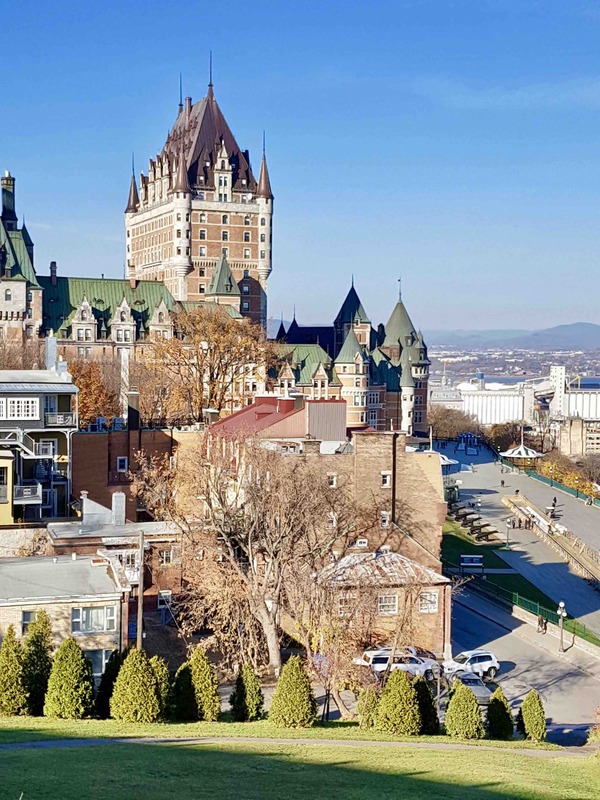 Located in the Upper Town district, Hotel Château Laurier is perfect for the modern travellers that like to walk to most of the city’s attractions. With its saltwater indoor pool and Finnish sauna, it is also a great choice for a relaxed stay. More than a boutique hotel, Auberge St Antoine is a window on Québec City’s past. Hundreds of artifacts from both the French and English regimes were discovered during an archaeological dig on the hotel’s property. The contemporary rooms also display some of these original artifacts, for the delight of history lovers. This famous street, in Old Quebec, offers a lot of shopping options. Most of them, I have to admit, is mostly for tourists. But since you are, you will find treasures here. Nonetheless, Simons (women and men apparel) has a venue here, and it is very popular with both locals and visitors. You can find at Simons a lot of different styles, at affordable price. With a lot of small shops, Petit Champlain is one of my favorite neighbourhood in Quebec City. Walking down the Rue Petit Champlain, among the tourists, shopping beautiful handcrafts and tasting maple syrup pops. This cobblestone street has the most European feel, and charms everyone. This shopping center isn’t close to the Old Quebec, but it is very popular in Quebec City, and a must if you are traveling with your kids – there’s an amusement park inside the mall, and an ice skating rink! My little girl is always eager to play there for hours. You can find at the Galeries de la Capitale shops like H&M, Simons (women and men apparel), Clément (kids apparel) and Aldo Shoes, among others. Now that you know where to go and what to see, when are you coming to Quebec City? 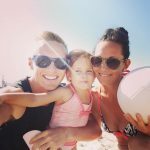 When you’ll do, give me a call, and we’ll grab a coffee and chat! I knew that Quebec is a lovely place and I’ve been there so many times and I can say that you will never get tired exploring the whole city. Nicely written, thanks for the tips by the way .